All-natural, organic, non-GMO, cage-free, grass-fed… so many options! As we discuss reducing and eliminating toxins in your body to protect their effect on your genes, here’s a few quick tips on making informed decisions for your food consumption! Choose organic whenever possible, but if you need to trim the budget, here’s the “Dirty Dozen” and “Clean 15” you can use in making an informed decision. It’s no secret that grass-fed, hormone-free, wild-caught, and free-range foods are better for us. But, why exactly is that? Not only do you need to be aware of how your food was grown, you also need to know how it was FED. 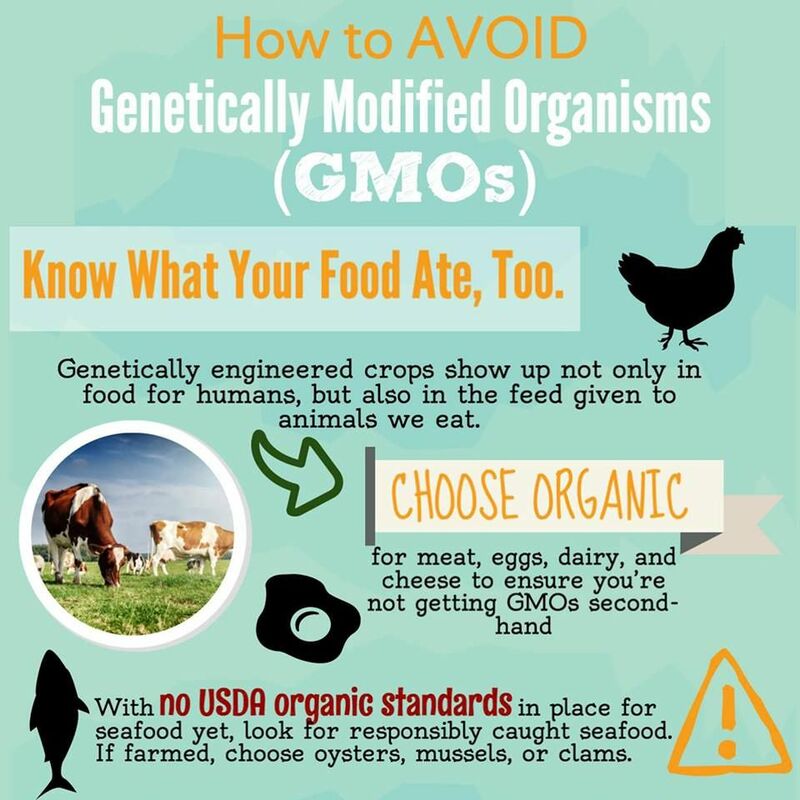 Many of the chicken, pork, and beef sources are fed GMO produce! Check your sources and ask for your grocery store to carry organic sources of meat and poultry as well as wild-caught seafood. Learn to read your food labels! These toxins can creep into many of the foods labeled “natural”. Don’t be fooled!